A new law requires doctors to know Hebrew before they obtain a license to practice medicine in the State of Israel. The Knesset has approved a proposed law that would require doctors to have a basic working knowledge of Hebrew before they can obtain a license to practice medicine in the State of Israel. The law, proposed by National Union MK Aryeh Eldad, passed its second and third reading in the Knesset on Tuesday. Eldad said the law was designed to protect patients by ensuring that doctors possessed a minimum ability to communicate with those they care for. Eldad, a physician himself, was head of plastic surgery and burns unit at the Hadassah Medical Center in Jerusalem and served as the chief medical officer of the IDF. 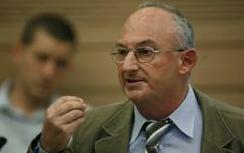 In addition, Eldad said the law would strengthen the status of Hebrew as the primary language of the State of Israel. “In most countries, one must demonstrate a knowledge of the state language in order to obtain a license to practice medicine,” he pointed out. Doctors who finish their studies outside Israel are required to perform one year in residency work at an Israeli hospital before receiving a license. “The desire to facilitate the absorption of immigrants cannot come at the expense of patients' rights, or risk their lives,” said Eldad. A basic knowledge of Hebrew is in effect already required for anyone who completes their studies within Israel because of the requirement for a year residency program at an Israeli hospital.